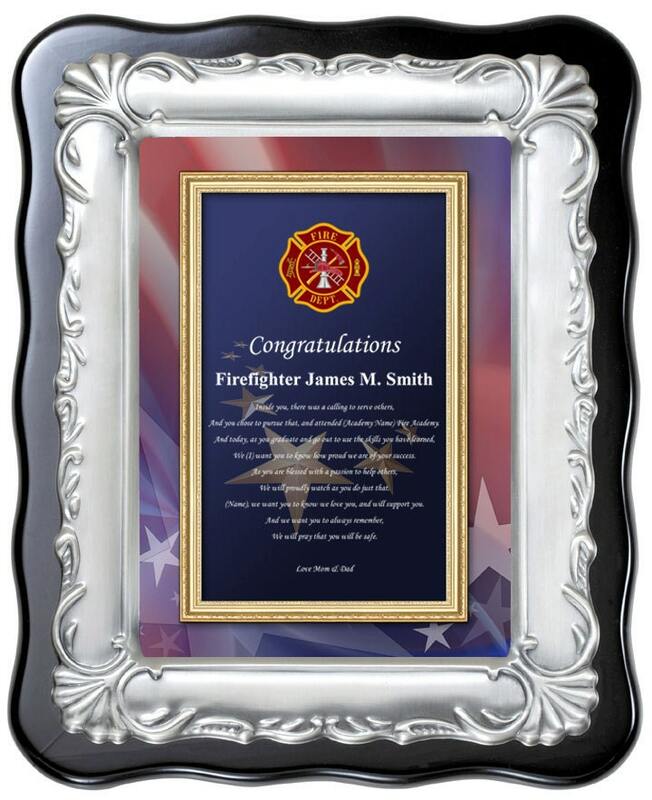 Our elegant poetry firefighter retirement or graduation frames and desk plaques make every touch point count with personalized memorable poems. Focusing on delighting fireman and firefighters, our gifts and presents unlocks the best loving opportunity to show thoughtful appreciation to your hero husband, boyfriend, father or friend. 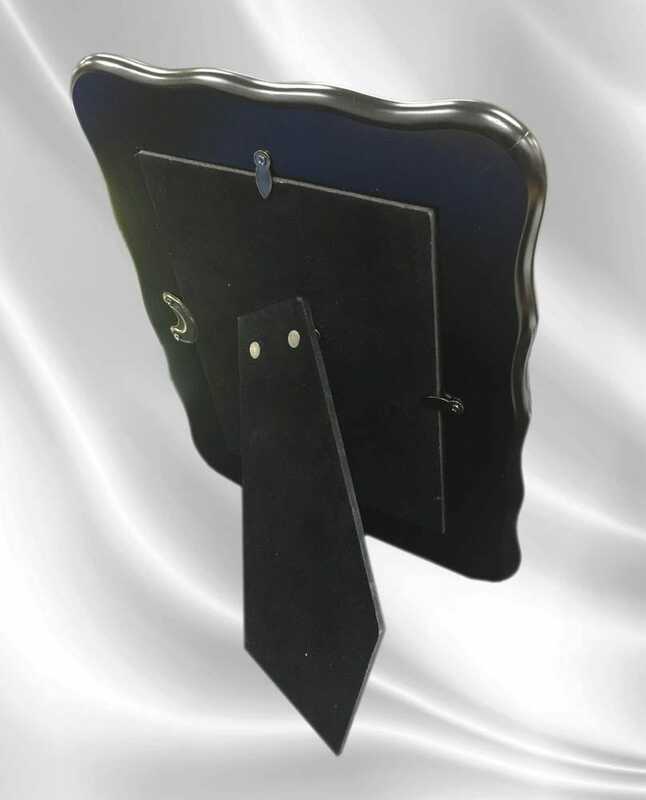 This shiny black plaque is displayed with a touching fire fighter academy graduate poem and a gold dimensional metal designer border plaque display. 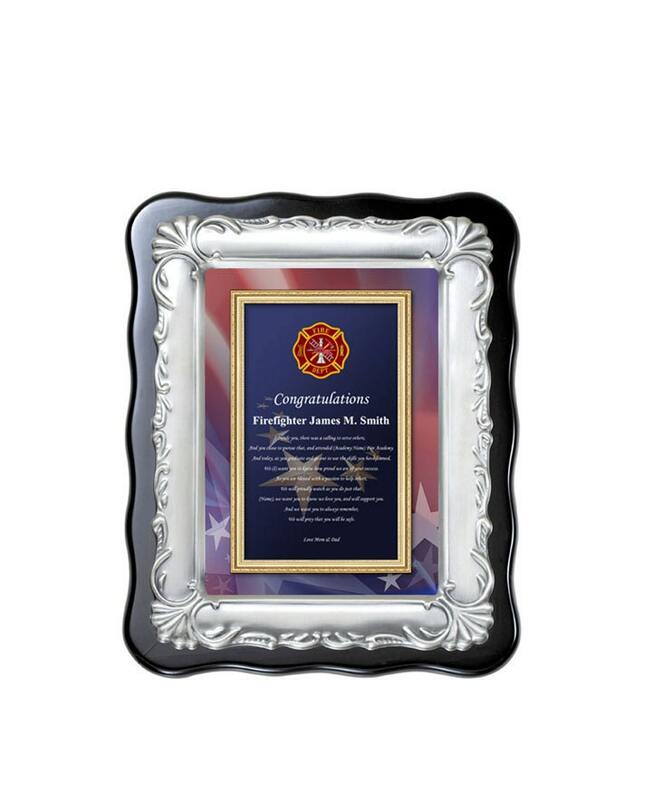 Capturing special moments and events in life with our personalized firefighter poetry plaques and frames. Our extraordinary fireman fire academy gifts include an elegant black wood plaque with a beautiful imagery gold border design and a personalized poem. We sell fire school academy graduation gifts, firefighter plaques, fireman school graduation picture frames, retirement gifts and many more products and occasions. 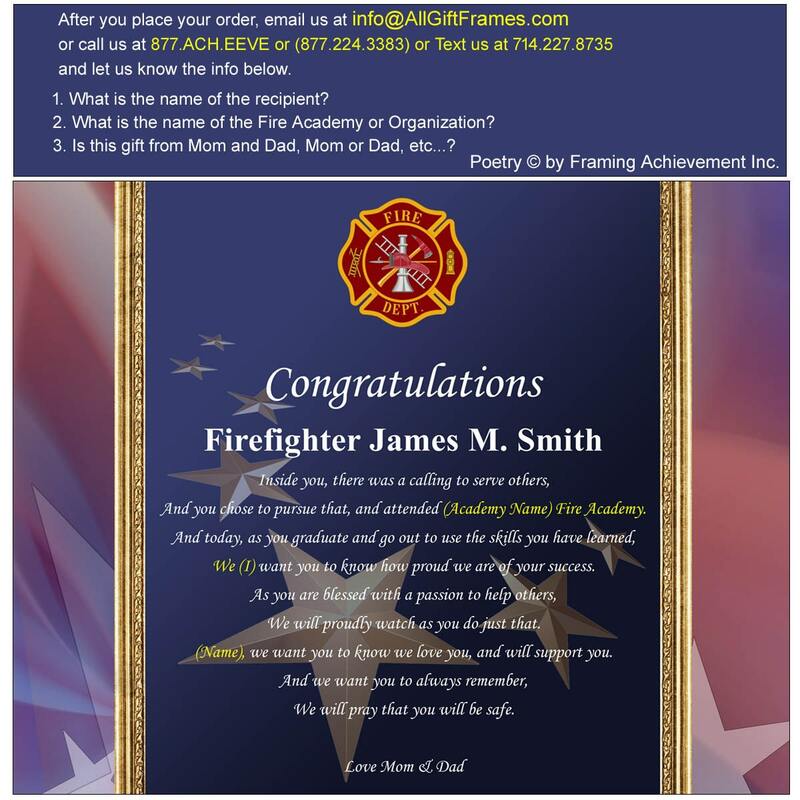 Inspired by the loving words of our creative poets, these firemen poetry gifts are an exclusive to Framing Achievement, Inc. creation. Our poem clocks, firefighter plaques and fireman frames are customized with your name and embedded in the composition of the poetry gifts. Let our personalized gifts of poetry products imagination wander and explore the possibilities that you can create with a custom sentimental meaningful message in our elegant picture frames and clock fire fighter presents. Rating high on style and elegance, Framing Achievement's personalized poem gifts are the first choice in premium poetry presents for Anniversary, Birthdays, Weddings, Retirement, Graduation and many more occasions.